Nine arts groups in Missouri and Illinois will share $45,000 in grants announced Wednesday by Arts and Education Council, a nonprofit agency funded by private donations. The money is split between two programs, each funded by Monsanto Fund. 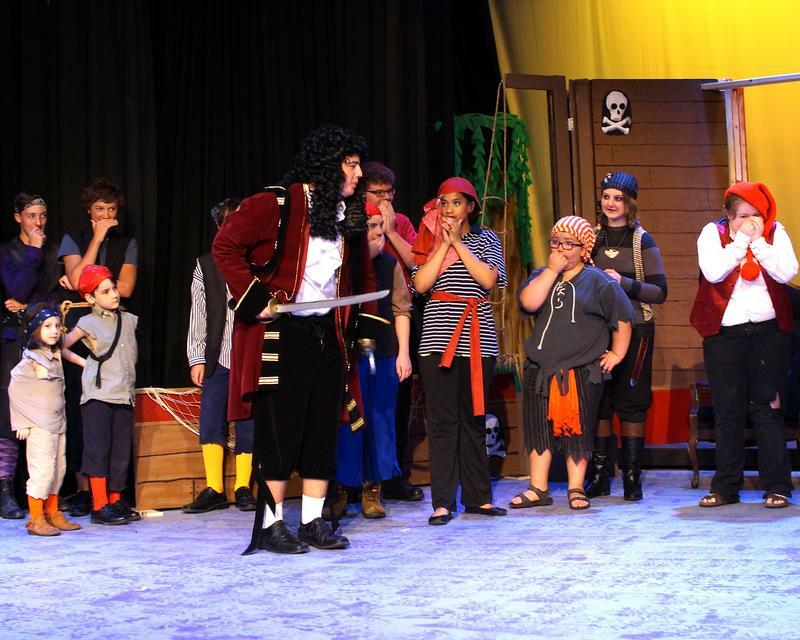 One offers general, organizational support to established arts organizations in rural areas; the other funds smaller groups planning new programs or events. 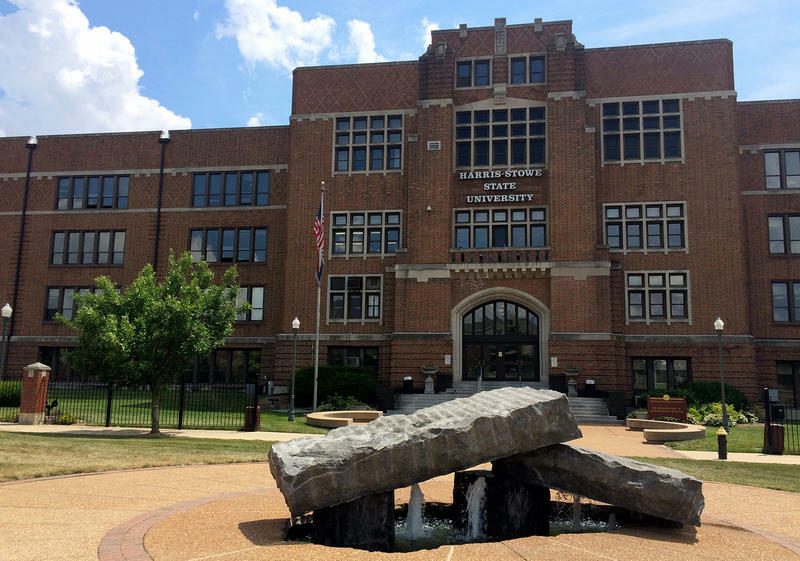 Members of two local NAACP chapters are urging the state of Missouri to give equal funding and treatment to the state’s historically black universities: Harris-Stowe State University in St. Louis and Lincoln University in Jefferson City. Harris-Stowe’s NAACP Youth and College Branch established the Coalition for Equity and Excellence in Higher Education to push for more funding from the state. The St. Louis City NAACP chapter announced Monday its support of that effort and added that litigation may be the next step if the state fails to provide more funding. Updated 12:27 p.m. May 5 with House veto override - The same day that Gov. 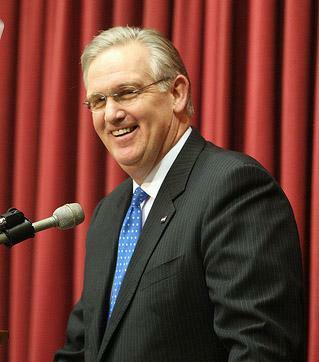 Jay Nixon, D-Mo. vetoed a measure that would have changed the way school funding is calculated, the Missouri Senate voted to override that move. One day later, the House overrode the veto as well. The measure now becomes law. According to the governor, "The cheapening of the foundation formula would break a promise that we have made to our local schools and students that they educate. This is a cynical policy that I cannot and will not support." 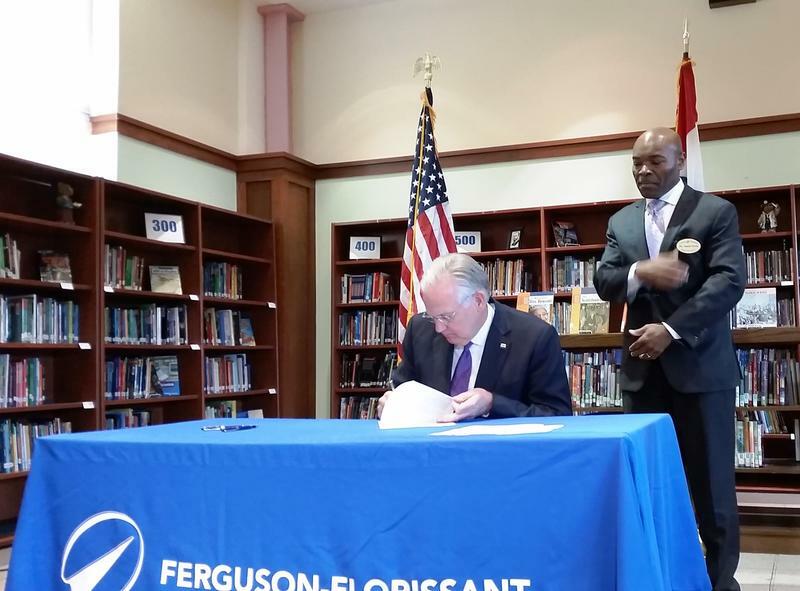 He made his comments Wednesday at an appearance at Ferguson Middle School, in the Ferguson-Florissant School District. 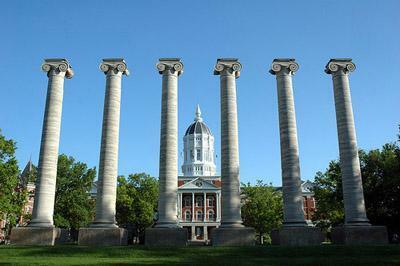 A group of Missouri lawmakers is considering an overhaul of how the state’s colleges and universities are funded each year. A first draft of recommendations was released today, and it includes basing 10 percent of an institution’s state funding on performance standards such as graduation rates for seniors and retention rates for freshmen and sophomores. State Senator David Pearce (R, Warrensburg) chairs the Joint House-Senate Committee on Education. 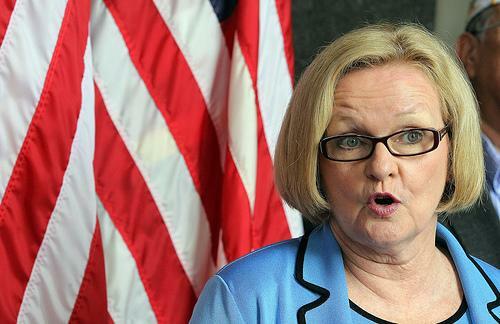 Missouri Senator Claire McCaskill says she will try to amend a transportation bill to strip funding for large construction projects in Afghanistan. The money would instead be used for roads and bridges in the U.S.
McCaskill hopes to attach her proposal to legislation re-authorizing the federal highway funding program. 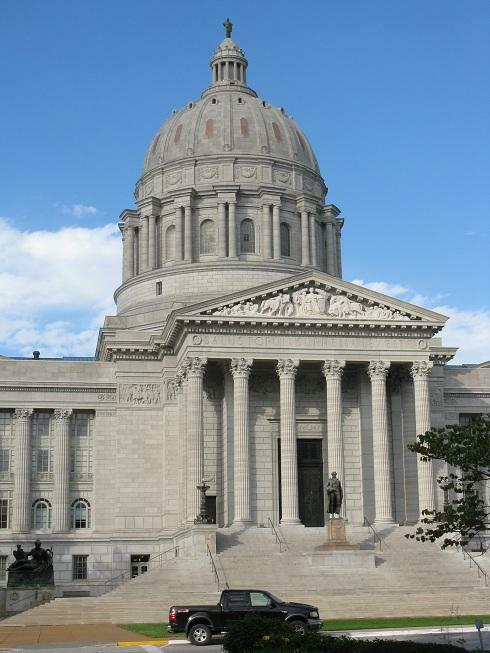 Legislation is on a fast track in the Missouri Senate to bring the state into compliance with federal standards for commercial truckers and drunken driving penalties. 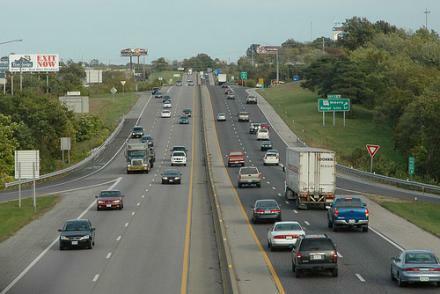 Missouri risks losing tens of millions of federal road construction dollars if it does not change its laws to match the federal mandates. On Wednesday, the Senate Transportation Committee took the unusual step of hearing testimony and approving the bill on the same day. 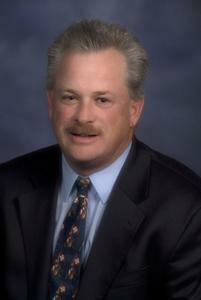 Chairman Bill Stouffer says he hopes the legislation can be brought up for debate by the full Senate next week. Legislative leaders say addressing Missouri's school funding formula is one of their top priorities for the annual session that starts Wednesday. Because of tight budgets there has not been enough money in recent years to fully fund the education formula. 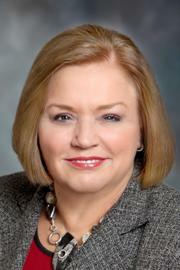 That has prompted concern that the distribution of the money could benefit certain districts at the expense of others. 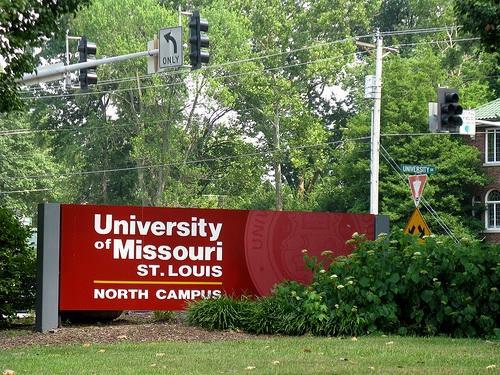 A task force is recommending that funding for universities and community colleges in Missouri be based in part on graduation rates and other performance-based criteria. The recommendation was presented today in Jefferson City to the state’s Coordinating Board for Higher Education. State Senator David Pearce (R, Warrensburg) chairs the Senate Education Committee. A Democratic Congressman from Missouri has proposed giving transit agencies across the country more flexibility in how they spend federal transit dollars. 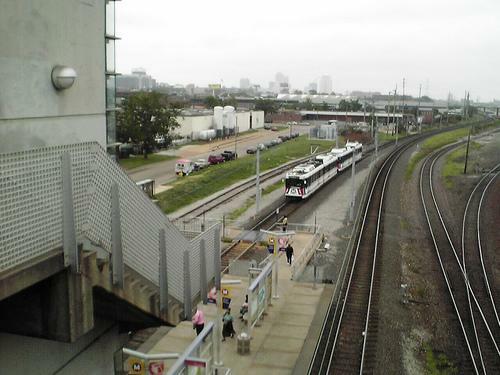 Rep. Russ Carnahan says despite millions of dollars from the 2009 American Recovery and Reinvestment Act (better known as the stimulus bill), more than 85 percent of transit systems across the country had to cut service, raise fares, or both - even as more and more people came to rely on transit. That, Carnahan says, is because the federal money has to go toward capital purchases like new buses. Governor Jay Nixon (D) wants to move Missouri’s universities and community colleges back to a performance-based funding model. It would mark a return to the way business was once conducted. Graduation rates and similar markers were used as a basis for funding public colleges in Missouri, but the system was dumped a decade ago during an economic recession. Missouri Gov. 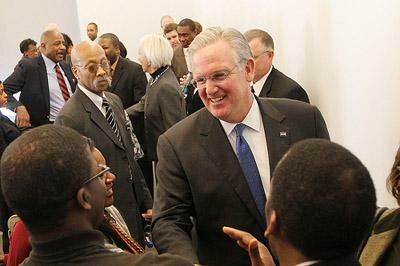 Jay Nixon has signed legislation allowing the use of $189 million in federal education money to fill shortfalls in state funding. Nixon signed the measure Monday at a high school in Linn, about a half-hour east of Jefferson City. 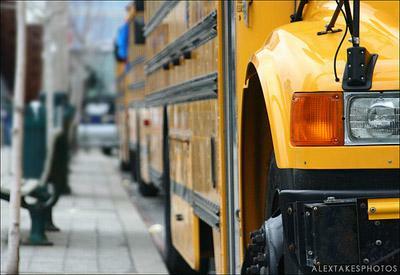 The federal money won't yield a net increase in the funding of local school districts. But it will help avoid a reduction in basic state aid to schools during this and future academic years. 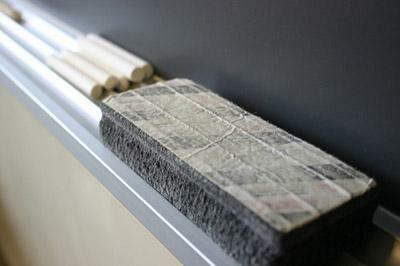 The Missouri Senate has passed a funding plan for public schools as it begins debate on a $23 billion proposed budget. A Senate budget bill approved Wednesday would provide schools $3 billion in basic aid next year - the same amount as this year but an estimated $179 million less than called for under the school funding formula. Legislators and Gov. Jay Nixon say the state cannot afford to pay schools the full amount they are due. Missouri's transportation director says the state is nearing a crisis in highway funding and may have to turn away federal dollars unless it comes up with more of its own money for roads. Department Director Kevin Keith told The Associated Press on Monday the agency now believes it must make about $300 million in cost cuts to free up enough state money to match federal highway dollars over the next five years. The department last year had set a goal of $200 million of savings. Updated 3:29 p.m. March 15, 2011 with information from committee meeting. A Missouri House committee has opted not to try to increase funding for school busing and the state's A+ scholarship program. Some lawmakers had distributed amendments Tuesday that would have provided about $35 million of additional money for public school transportation. But the committee did not vote on any of those amendments Tuesday. Questions are being raised after St. Louis' Paideia Academy closed and kept nearly a half-million dollars in leftover money. Missouri education officials say state regulators didn't have the authority to take back unspent money. The St. Louis Post-Dispatch reported that a federal investigation is under way, and that the state auditor's office has also asked questions. 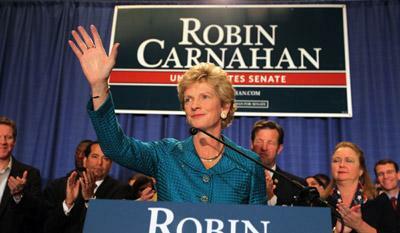 The Federal Election Commission says Missouri Democrat Robin Carnahan can set up a legal defense fund to help cover $85,000 of costs from a copyright lawsuit brought by the Fox News Network. A state House member wants to amend the Missouri Constitution to let parents receive public funding to send children to religious schools. 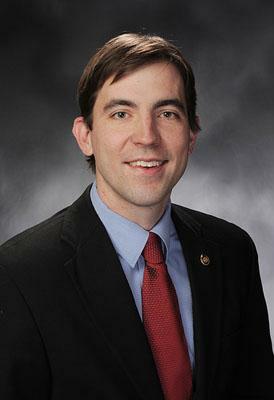 The proposal by Jefferson City Republican Jay Barnes would repeal a prohibition on public money going to religious schools. If approved by the full House and Senate, it would go on a statewide ballot. Governor Jay Nixon (D) has released an additional $10 million withheld from school bus funding for Missouri's public schools this year. 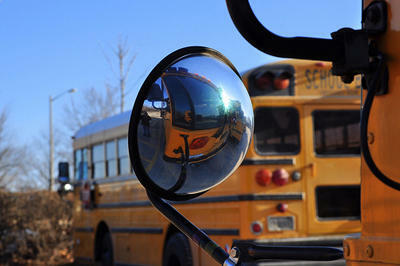 Nixon initially ordered $70 million withheld from K-12 transportation funding, citing dwindling revenues.